Servicing and safety checks are carried out in accordance with manufacturers instructions. On completion you will receive a Gas Safety Certificate and be aware of any faults on your appliance. A Gas Safe registered engineer should fully service your boiler at least once a year. This will give you piece of mind that your boiler is both safe and reliable. It will also help maintain the warranty on your boiler. Landlords are responsible for ensuring that all of their occupied properties have at least an annual gas safety check. To verify that the property is safe, a gas safety certificate will be issued following the check . This applies to all gas appliances in the property, not just boilers. A gas safety certificate will be required before a tenancy can commence within a property. The certificate will be valid from the date of the check. For more information, read Regulation (36)(1) of the Gas Safety (Installation & Use) Regulations 1998. Ensure you employ a GAS SAFE registered engineer. 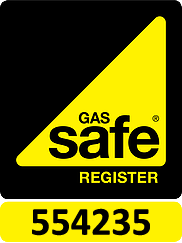 Gas Safe Register maintain the register of businesses and operatives who are competent to undertake both piped natural gas and liquefied petroleum gas (LPG) work in Great Britain, Northern Ireland, the Isle of Man and Guernsey. Our register number is 554235. Copyright © 2019 Efficiency HPE Ltd. Powered by WordPress. Theme: Spacious by ThemeGrill.